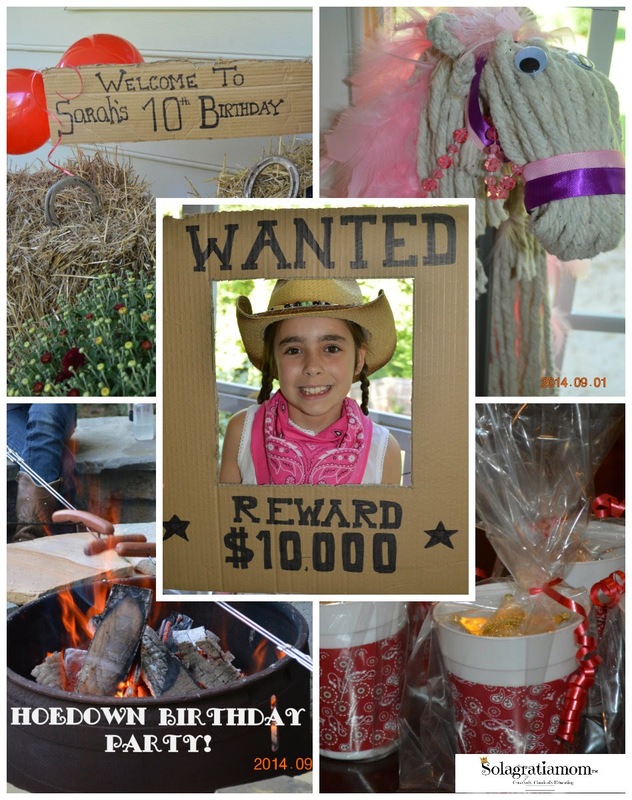 Solagratiamom: Cowgirl Hoedown Birthday Party! 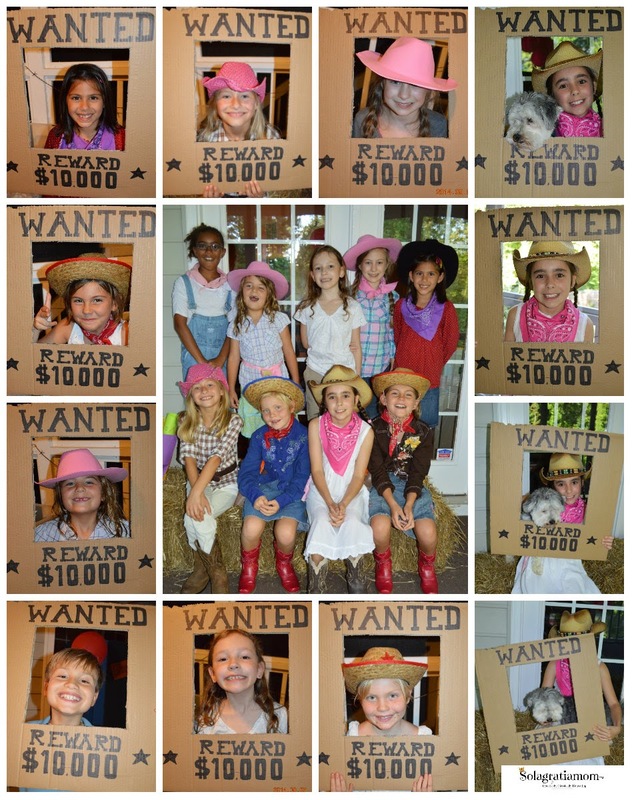 The party had homemade stick horses (you can learn about how to make one yourself over at my last blog post entitled Making Mops Into Stick Horses), panning for gold, trading post, horse show, shootout, cowgirl says, pin the tail on the horse, cow roping, jumpin' jail, swat the fly, hot dog roast, corral game and roasting s'mores! When the kids got there they were given an opportunity to check out the horses in the "corral" and given a number. The number would determine the turn they would take in picking a horse out. The first game that we played was called swat the fly. 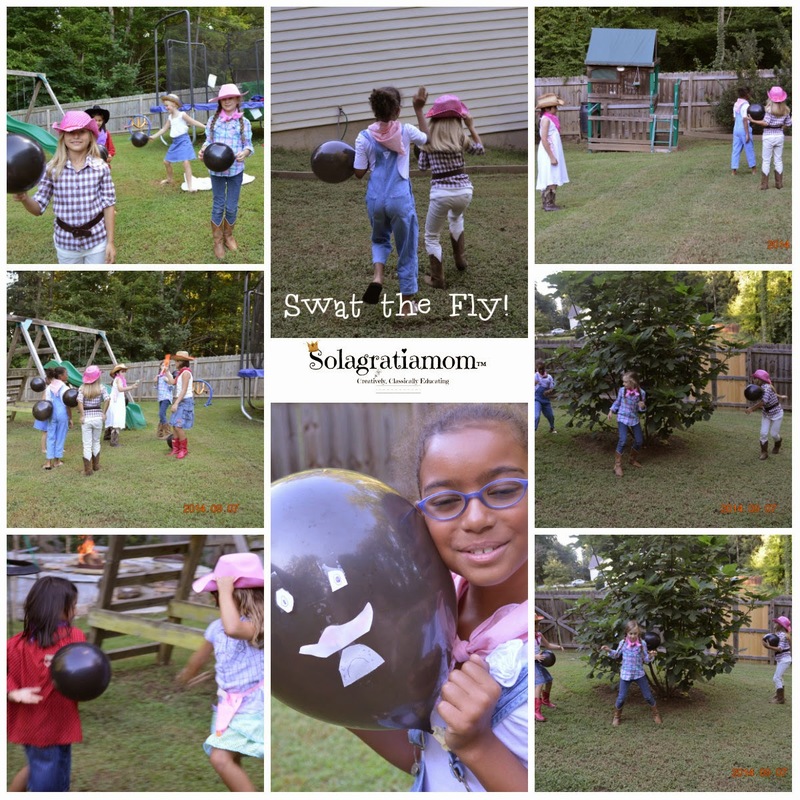 They each had a black balloon taped to their body and were told to protect their balloon, while trying to swat the balloon off another person. Once their balloon was swat off, they were done playing. The last person standing with a balloon was the winner! 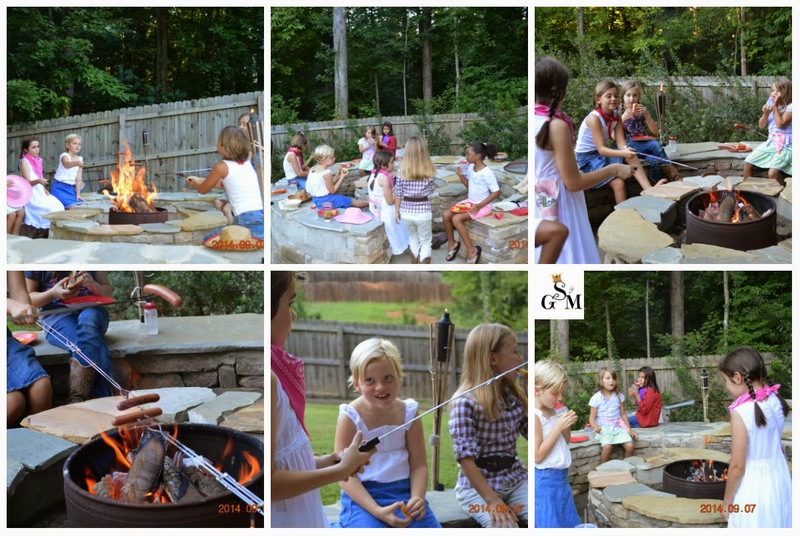 We then began roasting our hot dogs! Then we moved inside to begin playing some games in the basement! The first thing we did was have a "horse show". 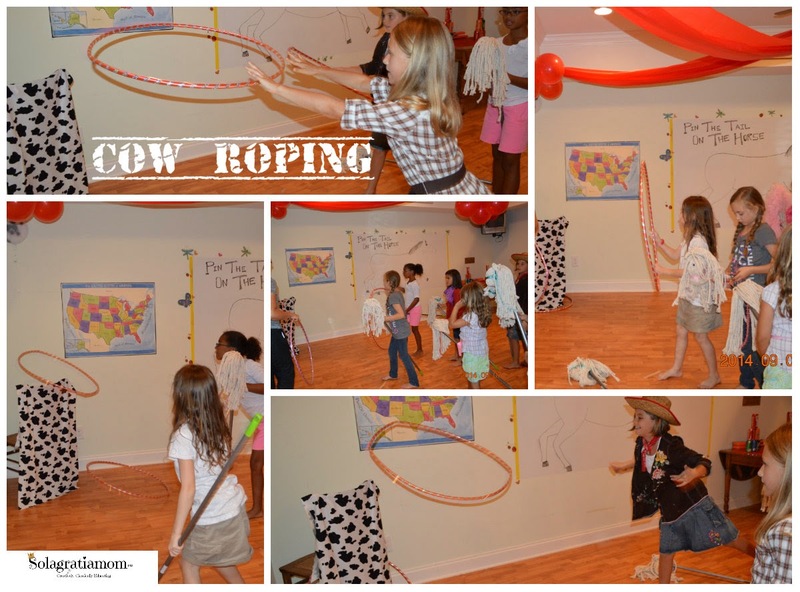 The kids lined up in a circle around the room with their horses ready to ride and then at my command as the "ring master", they would "trot, walk or canter". This was lots of fun! Next we moved on to a shoot out! 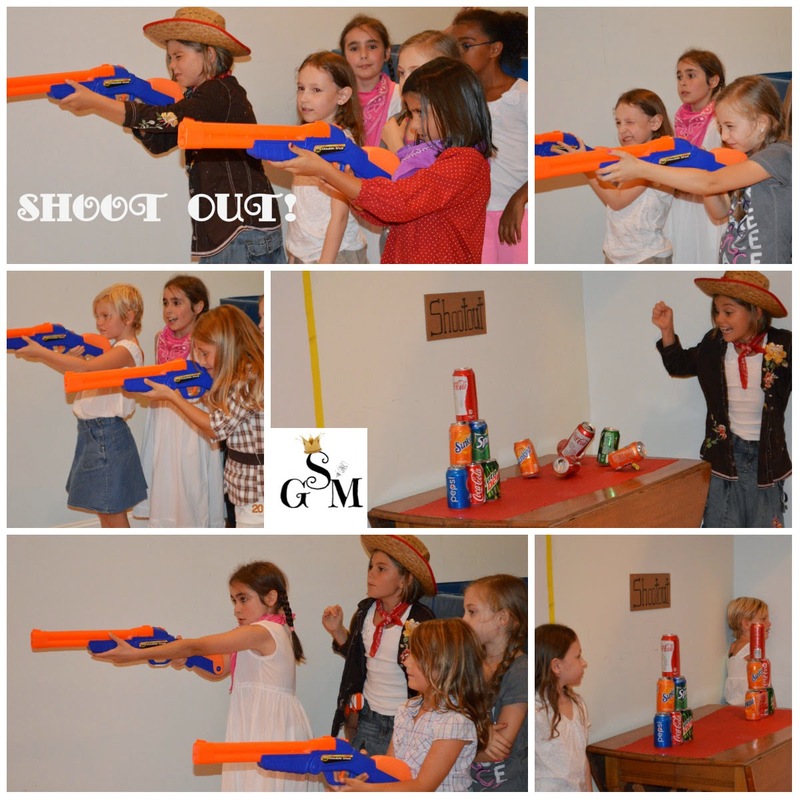 They formed two teams and competed to see which team could shoot down the most cans. 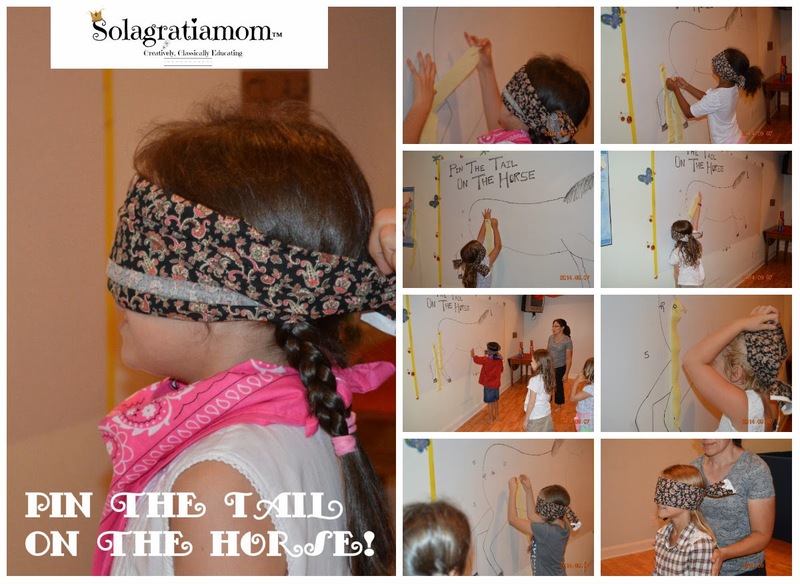 Pin the tail on the horse! 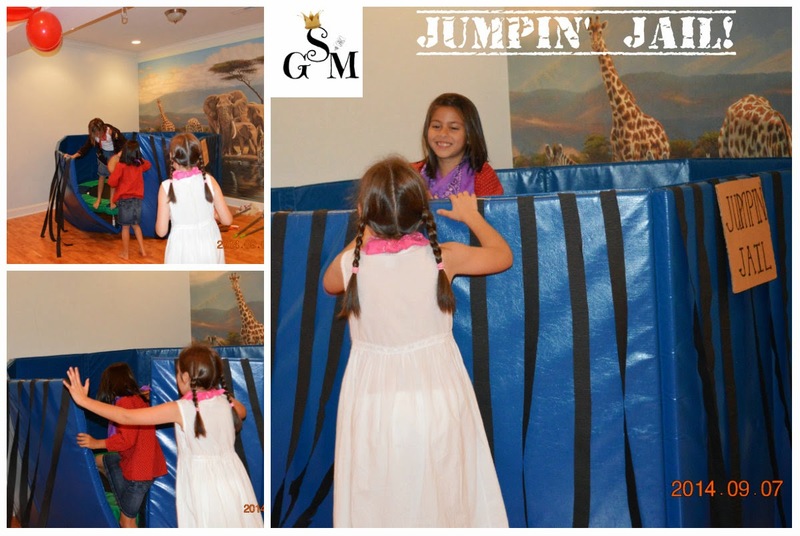 The kids were sent to jumping jail by the "cute police" intermittently! 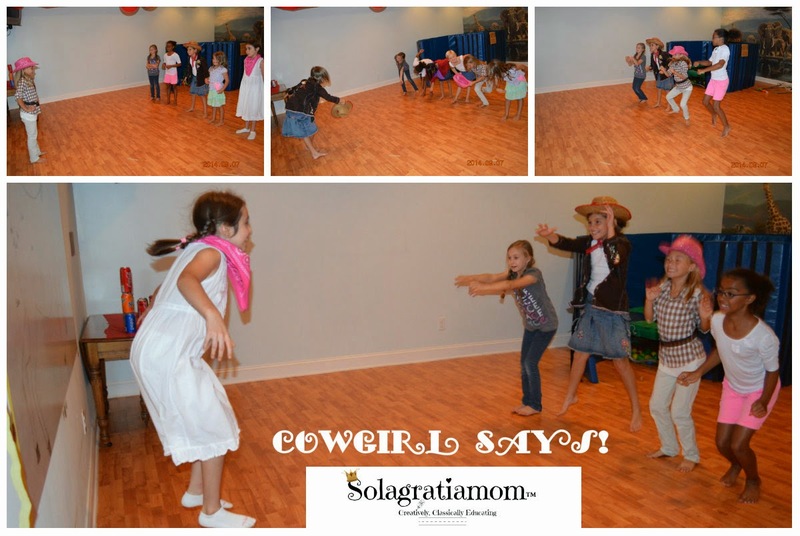 Cowgirl says, was basically Simon says, but they had to give commands related to cowboys. 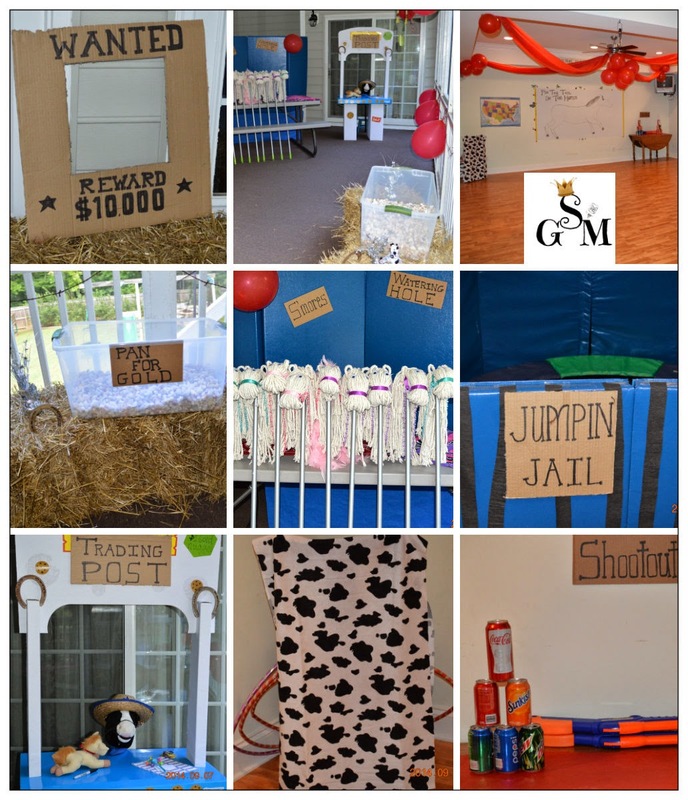 Some of the commands were things like "jump over a rattlesnake", "draw your gun", "ride your horse" etc. It was creative and fun to watch what the kids came up with. 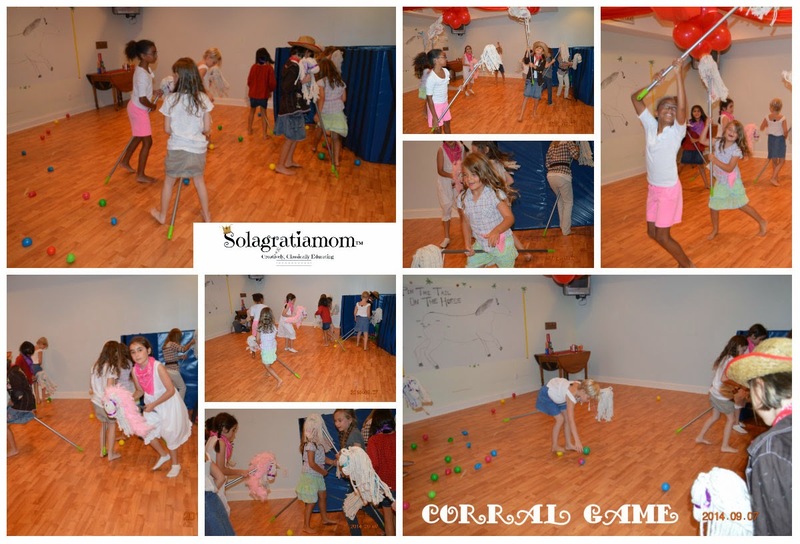 The next game was a corral game. 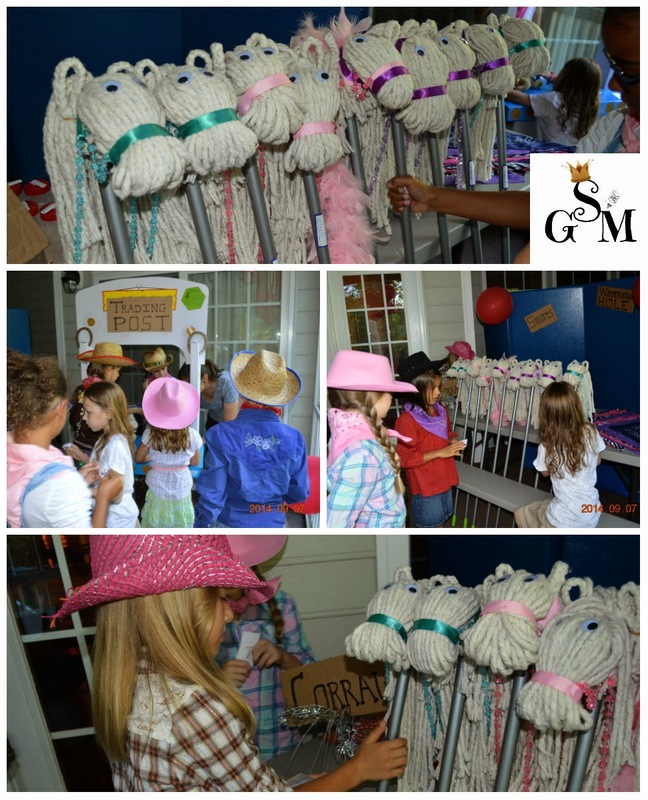 The rules were: they had to use their stick horses or their feet only, to get the balls I dumped out all over the floor, corralled into the designated area within a certain period of time! 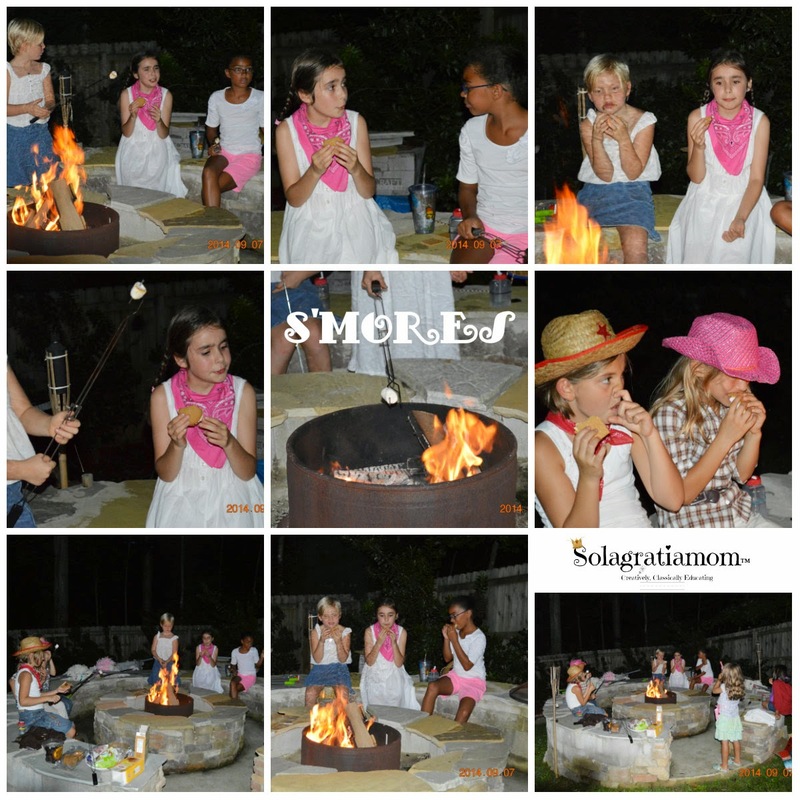 After the games were done, the kids went outside to roast s'mores! To end the party the kids watched Sarah open her gifts and they got their picture taken with the Most Wanted Picture Frame I had made for the party! 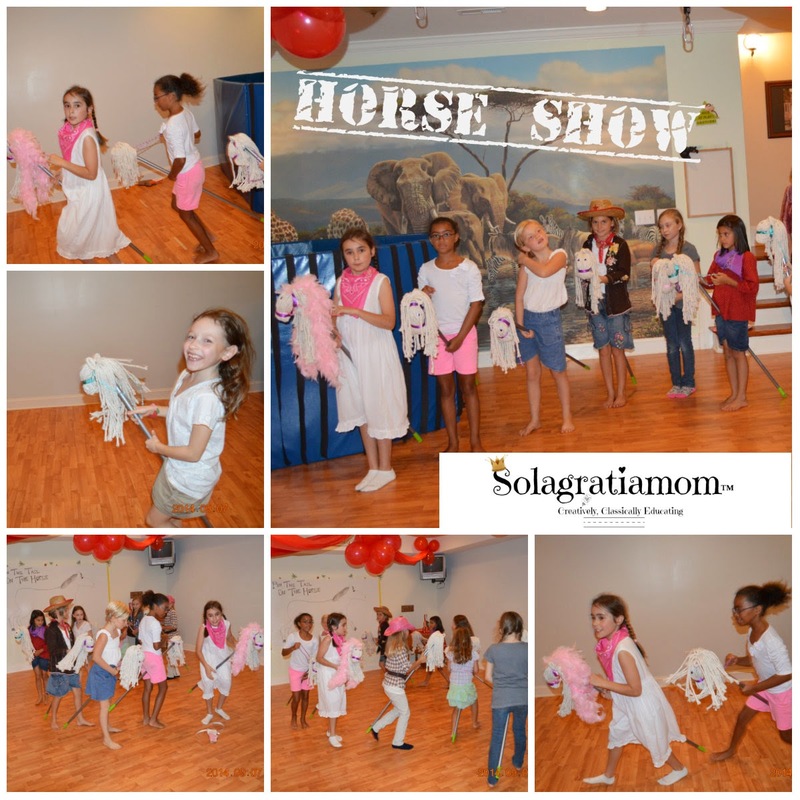 It was lots of fun for the kids and the horses were a very big hit! 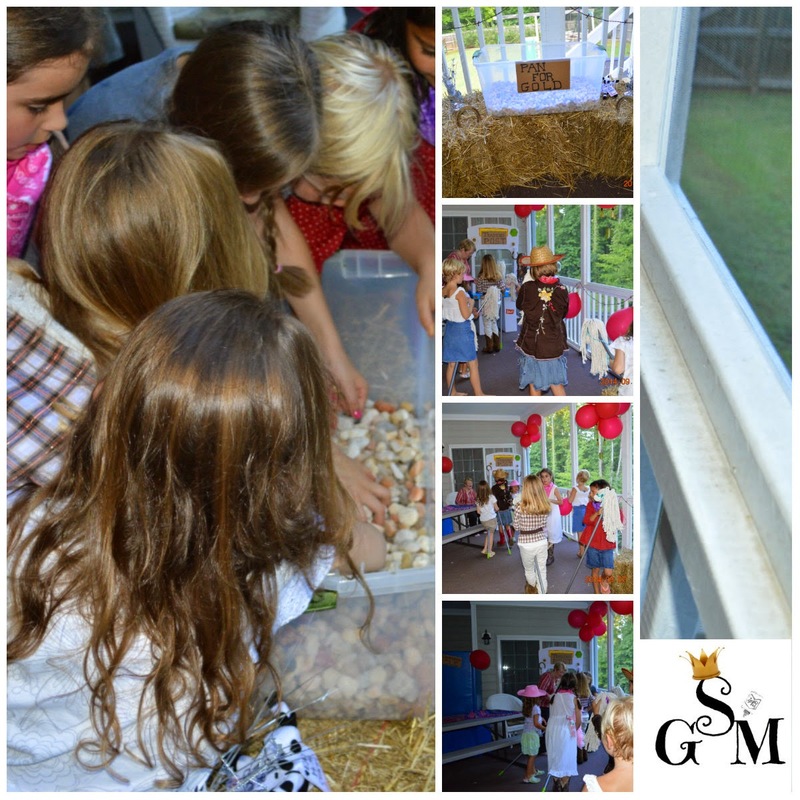 If you want to see other creative birthday parties ideas you can check out our Drive In Movie Theater party from last year! Yee Haw! And a fun time was had by all! 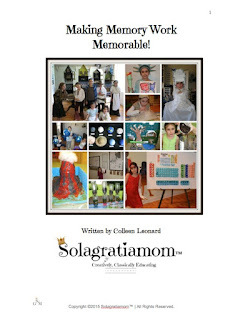 What an awesome party! Totally perfect!!! What a fun party. Happy Birthday to your daughter!